Have players pick up two teams (Don't have to be equal number). Start at the right block with each team shooting at the same time for two minutes. 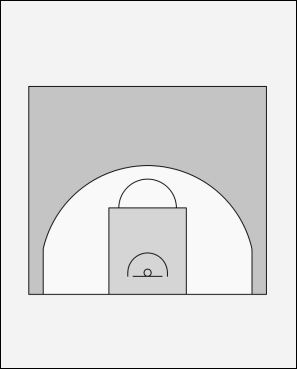 The player shooting is to rebound his or her own make/miss and pass to the next person in line. Count out loud at each point made. Move players to other block and start again for two minutes. Continue again in the corner. Then move to the top of the key and then opposite corner.